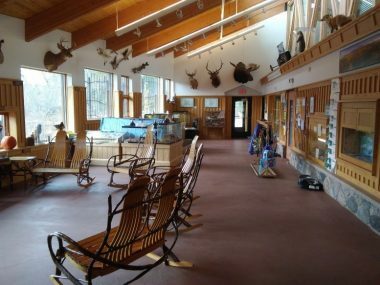 Interested in having an event at Hartley Nature Center? We offer several spaces and rental options for both indoor and outdoor events. Contact us at 218-724-6735 or office@hartleynature.org to reserve your space today. Those interested in hosting an event outside of the HNC leased area should inquire with the city. Please be aware that city permitted events in the park may be subject to an $80 fee, if the event occurs during normal HNC operating hours. These events include, but are not limited to running events, biking events, and XC ski events. Those intending on hosting these events should fill out our special event permit application. DESCRIPTION: The Outdoor Campus is a three acre enclosed area adjacent to the nature center building. 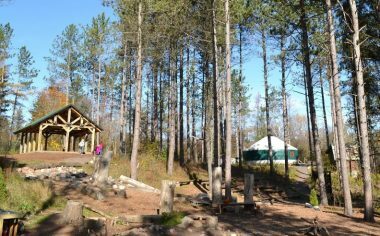 Amenities include a 20 x 30 open-sided pavilion built with timbers harvested from Hartley Park, composting toilet facility, amphitheater with small stage, nature playscape, and yurt. It can be rented between May 15 and October 15 for exclusive use. Event examples include, but are not limited to: weddings, company events, and family gatherings. COST: $500 for a 4 hour rental (must be reserved for one of two time slots). Please see special event permit for more details. Outdoor Campus rental requires a special use permit. Please click on special events application above to get started. DESCRIPTION: Unique and rustic rental space. 30’ diameter yurt (almost 700 sq. ft.), located a short walk from the nature center building. Available for rent between May 15 and October 15. Does NOT include the use of the pavilion, amphitheater, lean-to or playscape. 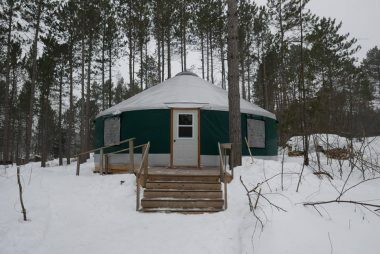 Yurt rental requires a special use permit. Please click on special events application above to get started. 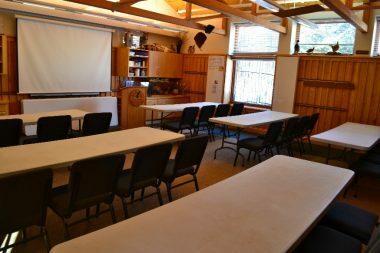 DESCRIPTION: Rental includes use of 700 square foot classroom space inside nature center building. Non-exclusive use is only available during normal operating hours. (Mon-Fri 8am-4pm and Sat 10am-4pm). COST: $100 for a 3 hour rental ($50/hr for each additional hour). Rental fee includes space set-up and clean-up. Non-exclusive facility rental requires a special use permit. Please click on special events application above to get started. COST: $300 for a 3 hour rental ($125/hr each additional hour). Rental fee includes event staff, space setup, and cleanup. Exclusive facility rental requires a special use permit. Please click on special events application above to get started. Didn’t find what you were looking for? Contact us at 218-724-6735 or office@hartleynature.org to see if we can accommodate any additional requests.